Jawbones and Fitbits are fine, but there are still some health insights that your own brain figures out better. Like this one: How did you sleep last night? In a recent Reddit AMA, Ying-Hui Fui, a sleep scientist at the University of California, San Francisco, explained that while wearables do a good job of measuring movement and heart rate while you sleep, they aren't going to provide an accurate picture of the quality of your night's rest. I think that right now, the best way is still to listen to your body and figure out what is the best schedule and duration for yourself. For example, when you are on vacation and have no social responsibilities and no other external influences, what is your body telling you to do and how do you feel? What makes you feel the best most of the day? Although it sounds primitive, it's still the most accurate way. 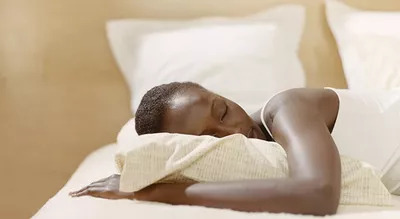 You can use fitbit or whatever to measure your sleep duration, but if you don't feel good, it still has no benefit to help you with your sleep. You still know yourself better than your Fitbit does.